This page describes the minimum versions of Lync and Skype for Business that can connect to the campus Skype for Business servers. If the Lync or Skype for Business client on your computer does not meet the minimum version requirement, the campus Skype for Business servers may give you warnings or deny you the ability to log in. If you need assistance with the update process, please contact your local IT Professional or contact the Help Desk (217-244-7000). What are the minimum supported Lync and Skype for Business client versions? Clients not listed above will experience no change in their behavior. However, we strongly encourage any mobile users to install the Skype for Business client for their mobile devices and discontinue the use of any "Lync" branded mobile clients. Note: A fresh install of the Skype for Business or Lync client will need updates in order to get to the minimum version. Please run Windows Update or Office Update to install any relevant patches. How do I check if I am running at least the minimum client version? NOTE: There is an issue with displaying the correct version number in the Skype for Business versions of the Windows client. If you are receiving a message stating that your version is out of date, please follow the steps listed under "How do I upgrade if I am below the minimum client version?" below. If you need further assistance, please contact your local IT Professional or contact the Help Desk (217-244-7000). Click the arrow next to the configuration gear on the Skype for Business window. Click About Skype for Business. Check the version number in the "About Skype for Business" window that appears. This version should receive automatic updates from Office 365. If your client does NOT auto update, please see this article Skype for Business, Updating Skype for Business Office 365 Versions for steps on how to force the update for your client. Click the arrow next to the configuration gear on the Lync 2010 window. Check the version number in the "About Microsoft Lync" window that appears. How do I upgrade if I am below the minimum client version? In the left pane, select Change settings, and then under Important Updates, select Install Updates automatically (recommended). Under Recommended Updates, select the Give me recommended updates the same way I receive important updates check box, and then select OK.
Click on "Choose how updates get installed"
If updates are found, click Install Updates. Click the "Check for Updates" button. Or contact your IT department for help updating your Lync or Skype for Business client version. What happens if I don't or can't upgrade? In most cases, updates to this software should be getting installed automatically. One reason why we have instituted the minimum version blocking is that without that warning sign, ultimately some customers would never know that this automatic process is failing for their machine, leaving their personal work data and machines subject to unpatched security vulnerabilities and software bugs. If you aren't able to upgrade, it is likely that your machine has not been successfully updated for some time with likely more than just the Lync or Skype for Business software being significantly out of date. The challenge for our instructions and documentation is that we cannot address how updates are handled in a customized way across all departments and colleges. If you are having problems updating your Lync or Skype for Business client, please contact your IT department for help updating your machine. If you aren't sure who that would be, please contact the Help Desk (244-7000) and they can locate them for you. 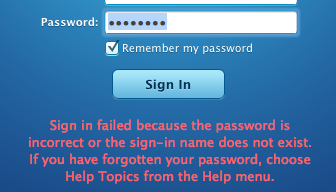 Windows clients and Mac 2011 clients that do not meet minimum version requirements will not be able to log in and will receive error messages similar to the following messages. Why implement a minimum Lync/Skype for Business client policy? The newest versions of the Lync/Skype for Business client provide more features and functions. Older versions contain security vulnerabilities. 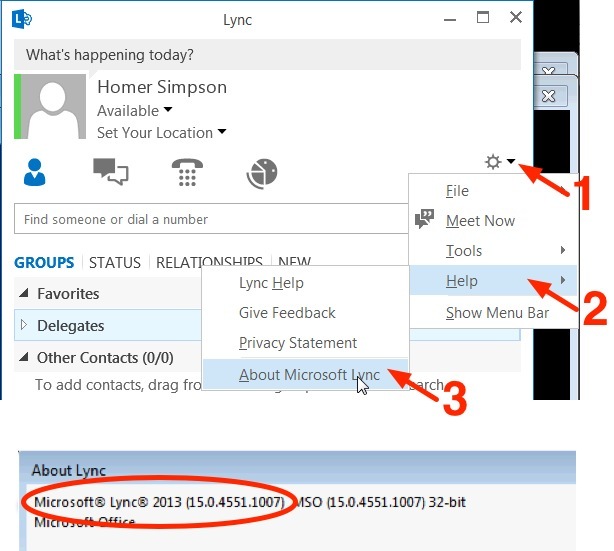 If all clients are at a minimum version, all Lync/Skype for Business users have a better experience communicating with each other. Users with up-to-date client software require less technical support.